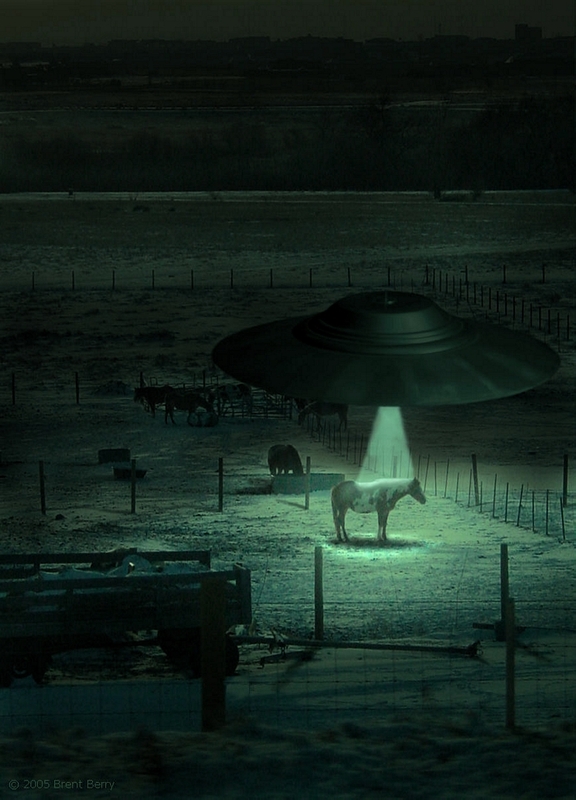 A ufo projecting a mysterious beam of light on a horse. Who knows what their intentions are! I only helped manipulate the photo. Its funny, this photo was taken while traveling 55 miles per hour down a highway in Parker Colorado and still is in focus. It was a daytime photo but it has been extremely tampered with. lol. I love flying saucers!